...or one of typical Greek dishes... Enjoy sailing Greece to the fullest! 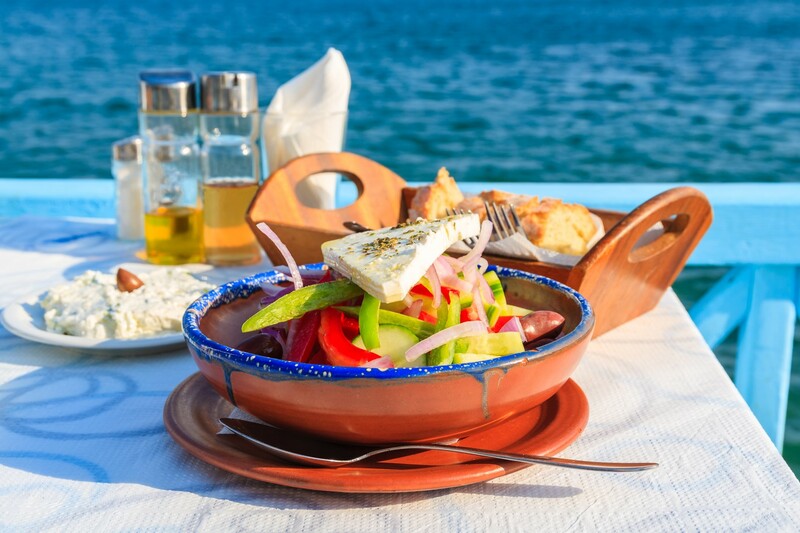 While sailing Greece, try the local cuisine. Just like other cuisines of the Mediterranean, it uses a lot of olive oil, vegetables and herbs, together with wine, fish, shellfish and cheese. However, it uses some flavorings more than other Mediterranean countries, e.g. oregano, mint, bay laurel, garlic, dill and onion. Grain foods are also an essential part of the Greek cuisine. 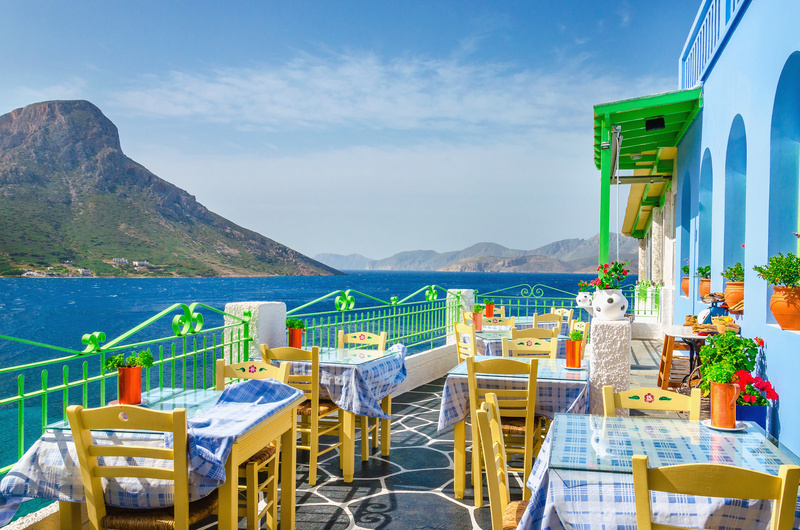 While in Greece, you can eat in a taverna or estiatorio, restaurants serving traditional home cooking at reasonable prices. 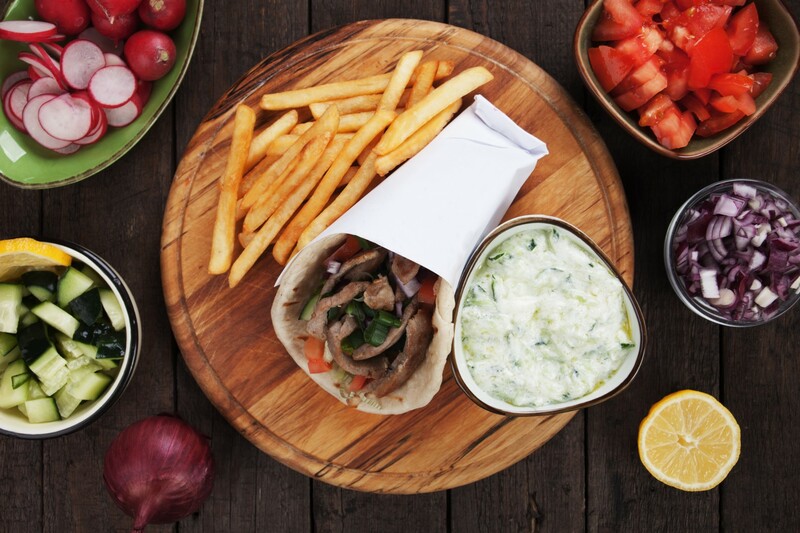 Some traditional specialties such as souvlaki, gyros or pita can often be found in fast food style. 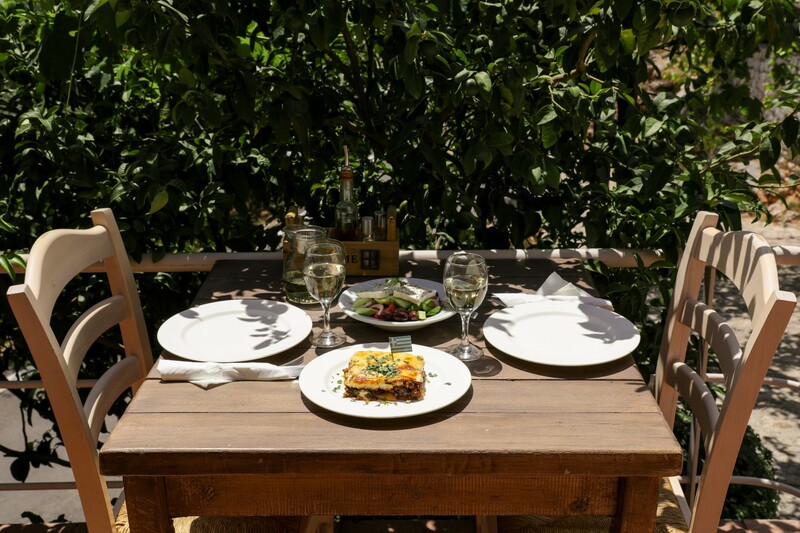 Typical Greek dishes include, among other, the moussaka with eggplant and spiced meat, tzatziki, a creamy cucumber-yogurt dip and baklava, a sweet dessert. What to Drink in Greece? As a Mediterranean country, Greece takes pride in its wines. Wine-making has been done in Greece for over 6,500 years. 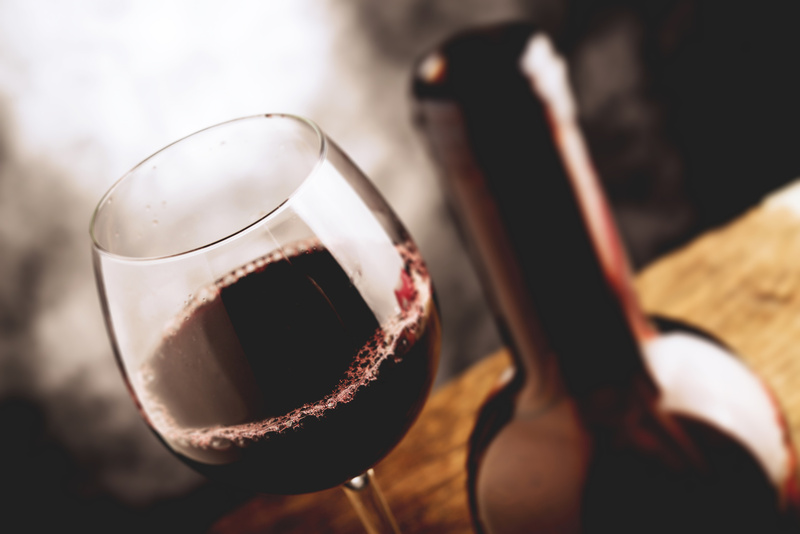 This long tradition vouches for the quality of Greek wines, which have international prestige. The most famous grape varieties include Agiorghitiko, Mandilaria, Mavrodaphne, Kotsifali (red wine), Assyrtiko, Athiri, Debina, Robola and Savatiano (white wine). Other traditional alcoholic beverages you should try while sailing in Greece include the famous ouzo (anise-flavored aperitif), tsipouro (pomace brandy), mastika (liquor seasoned with mastic), kitron (lemon liquor), tentura (cinnamon-flavored liquor) and metaxa (blend of brandy, spices and wine). Ouzo is often consumed in ouzerias with snacks, such as small salty fish. Mediterranean and Greek cuisine with fresh fish, seafood and the best wines from Greece. A restaurant on the beach overlooking the islands. 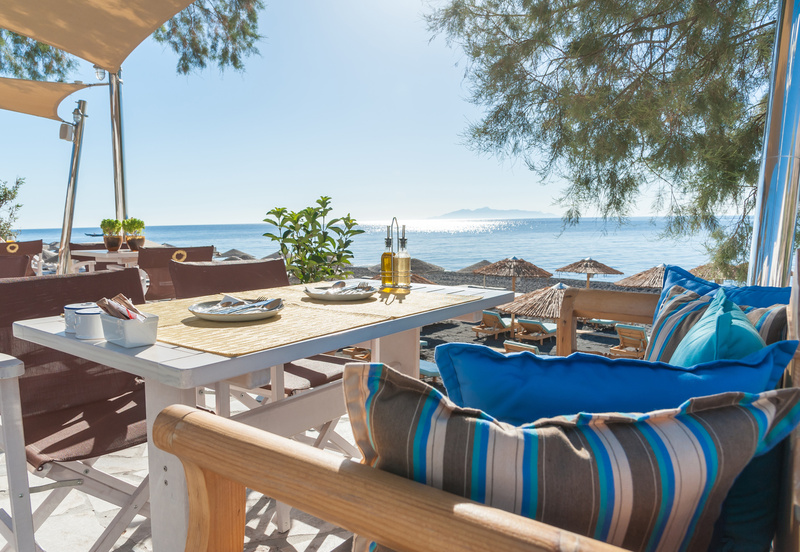 It offers a varied menu together with traditional Greek dishes. Traditional tavern food with fresh local ingredients. Won two "Golden Hat" awards. Greek cuisine is specific and very tasty. It is because of its Mediterranean influence that it is considered one of the best in Europe. If you want to try other types of Mediterranean cuisine on your charter vacation, check out our articles on the Italian cuisine or Croatian specialties. If you are more into exotic cuisines, check out the Caribbean cuisine on Sail Caribbean Yachts. You can also get information on the local drinks on these pages. 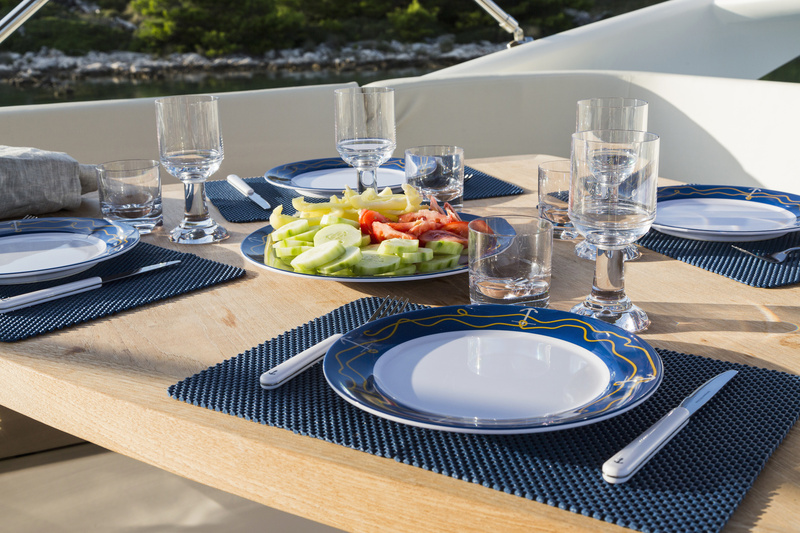 Who knows, maybe the cuisine will be the deciding factor in your choice of sailing destinations.